The inshore grounds have produced the best fishing we have seen for a long time. Off Isla Ladrones, Trevor Maunsch (age 15) caught and released two roosterfish believed to be 80lb and 85lb – bigger than the IGFA Junior record. His grandfather then caught another at around 60lb. The following day his uncle Dave released one around 95lb, close to the IGFA All Tackle record of 105lb. Marlin have been building in numbers, with both black and blue marlin caught up to 600lb and averaging around 400lb. 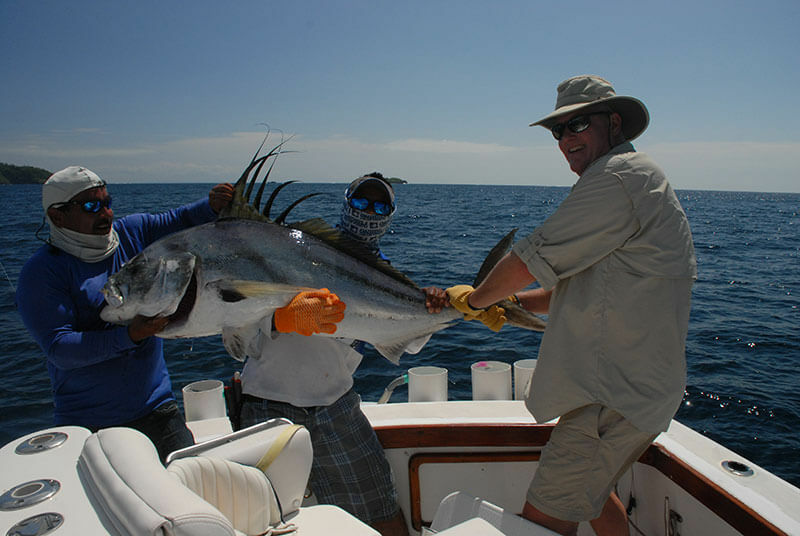 There’s also big sailfish, up to 180lb, hunting the schools of dolphinfish and small tuna. 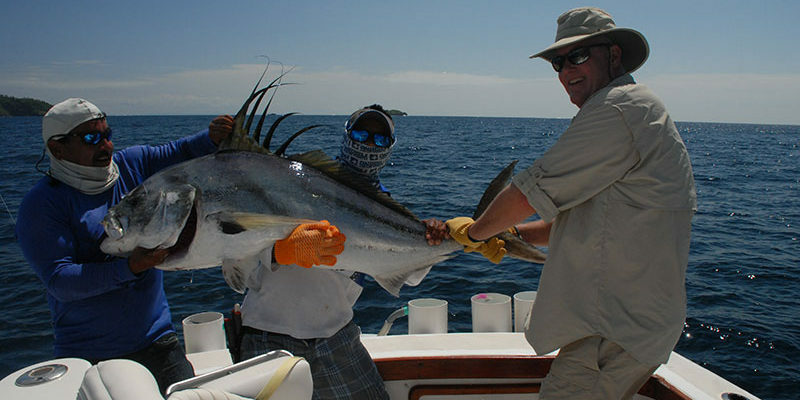 The marlin should continue to increase right through until April, with yellowfin tuna also currently on the bite.